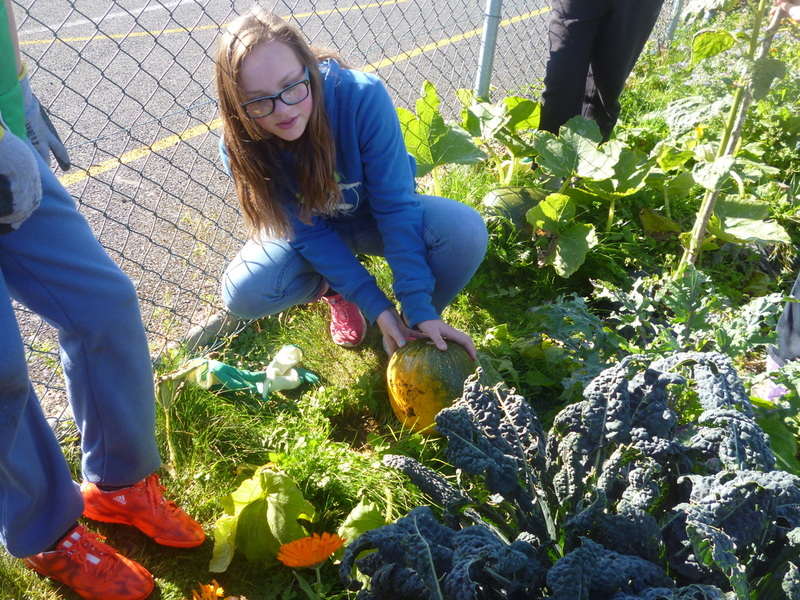 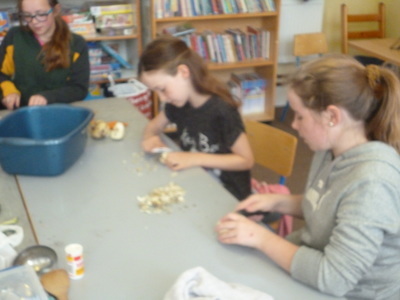 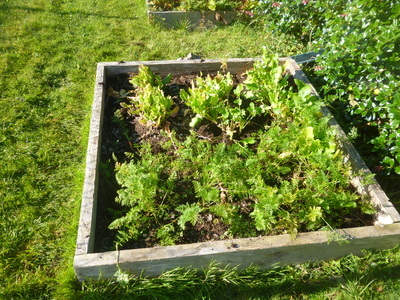 Green Schools - Redwood N.S. 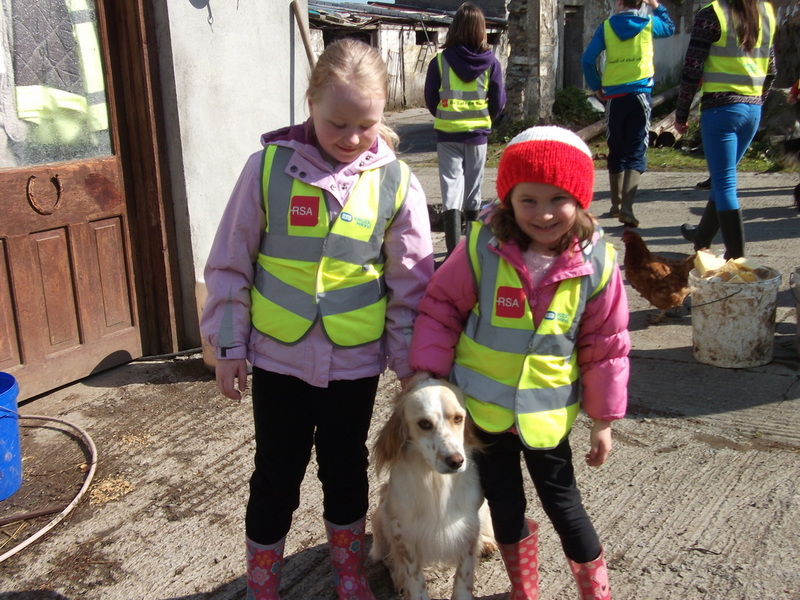 Every year we like to work with charities to help people all around the world that are not as lucky as we are. We are very grateful for our warm homes, our loving families, our health and our full bellies. 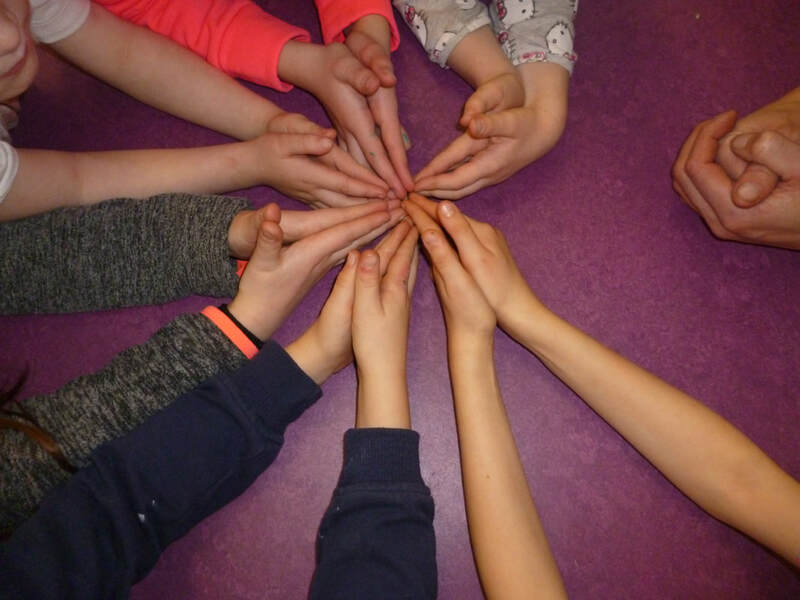 We realise that not every child around the world has what we have so we like to fundraise for various different charities every year to show how thankful we are. 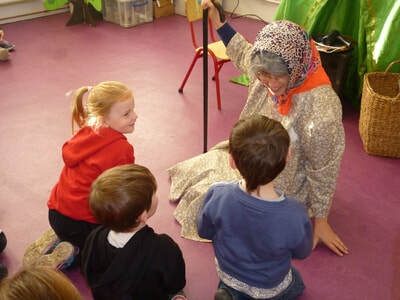 into their families and communities mainly across Eastern Europe, former Soviet Union and Africa. 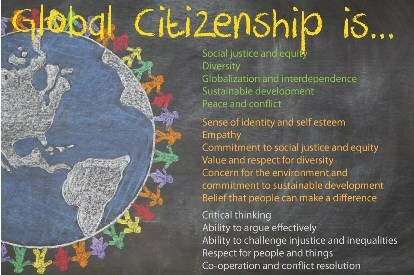 "To work towards ensuring that the poorest and most vulnerable in our world and those affected by humanitarian crises have access to the fundamental rights of life, including but not limited to adequate shelter, food, water and sanitation, healthcare, education and economic opportunities." 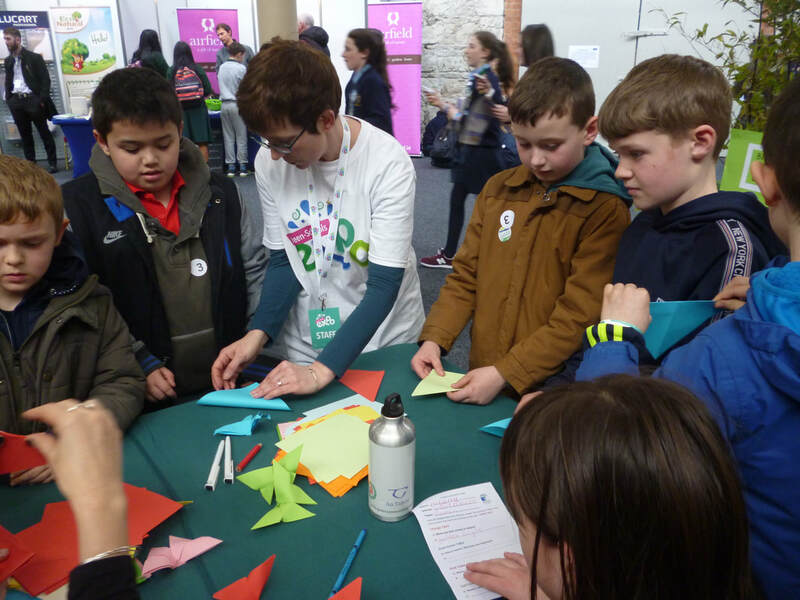 Temple Street Children's University Hospital, founded in 1872, is a paediatric hospital that cares for 145000 sick children per year. We fundraise for them every year by dressing up for Halloween and every child brings in a donation. 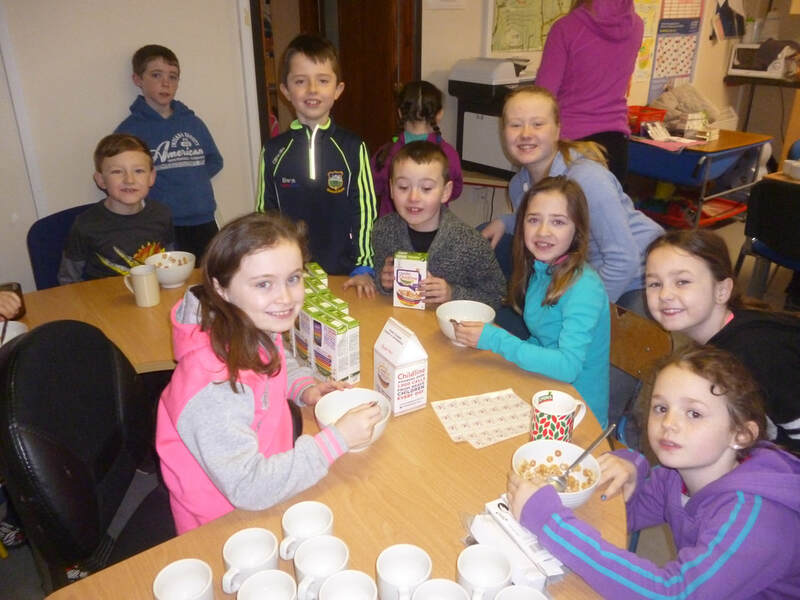 It’s a fun charity breakfast which is hosted across the country to help support the ISPCC Childline services which answers calls from children in need across Ireland 24 hours a day. 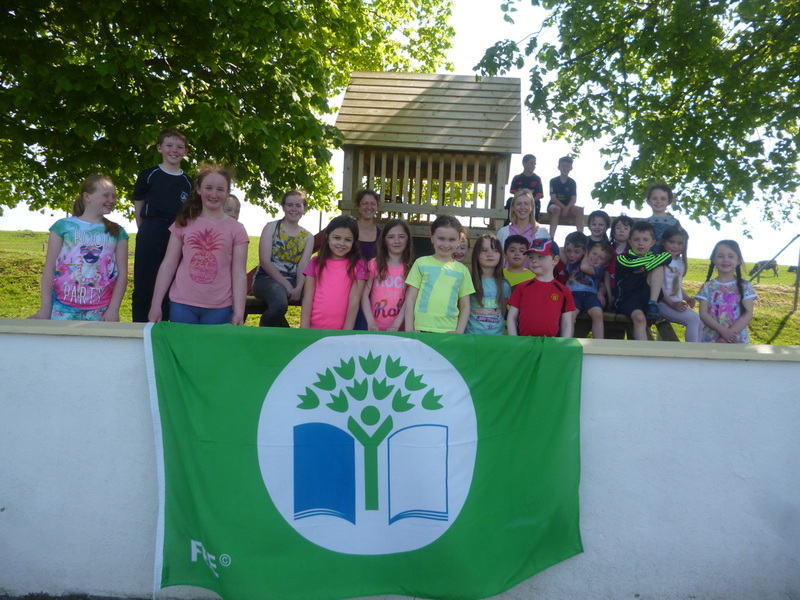 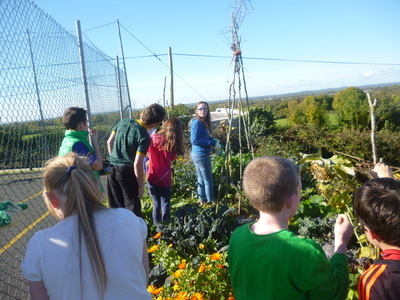 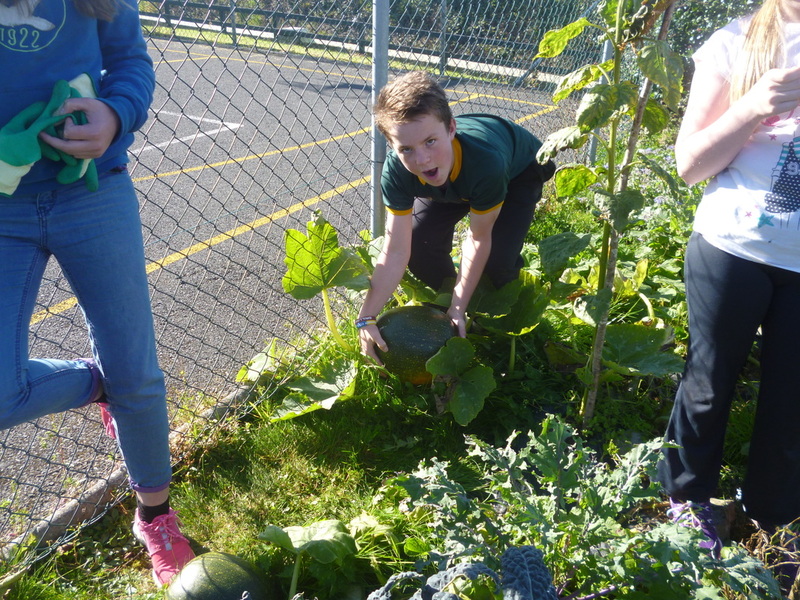 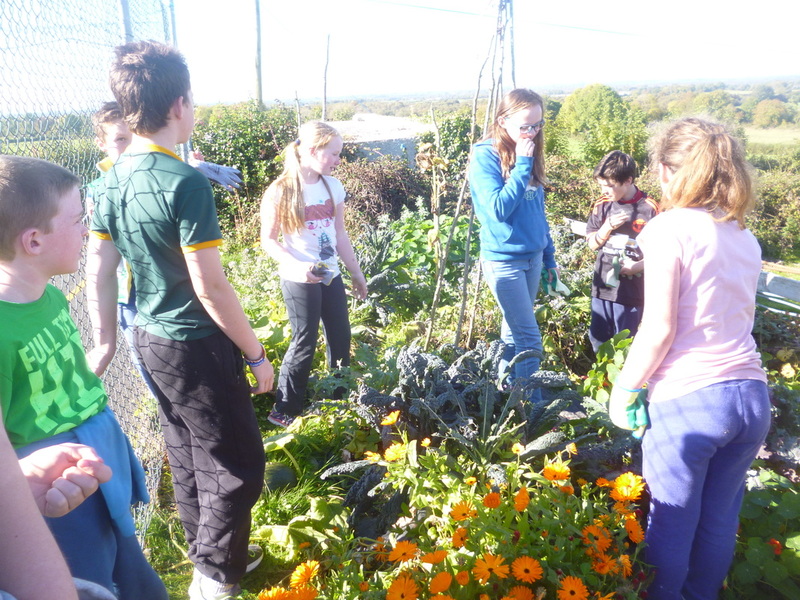 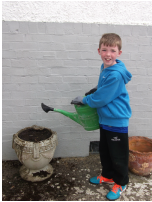 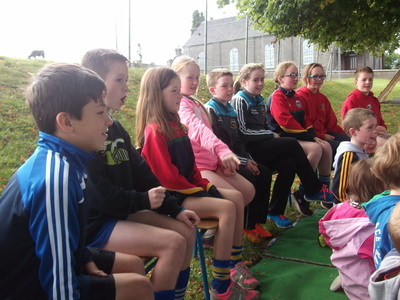 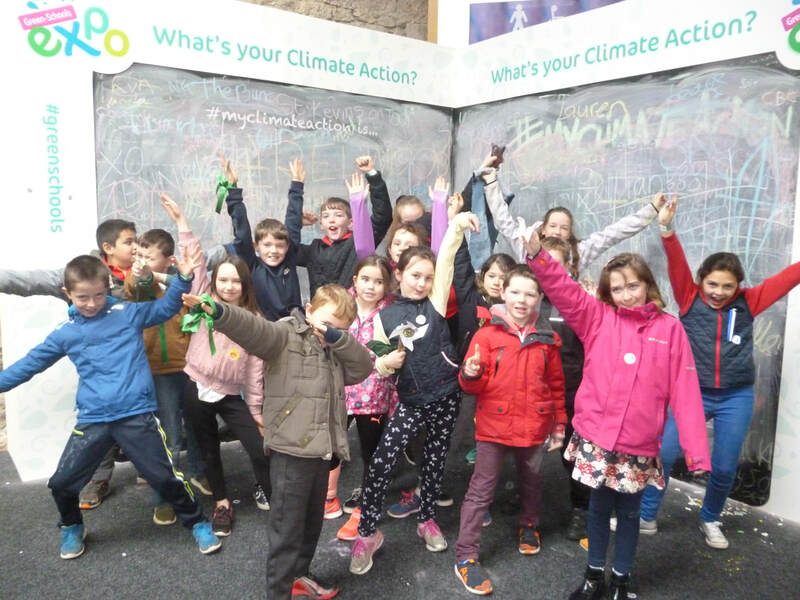 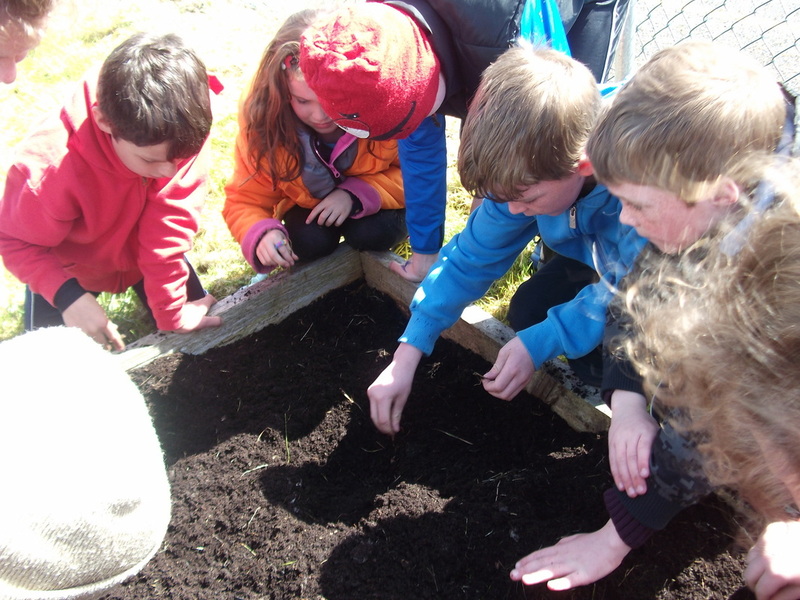 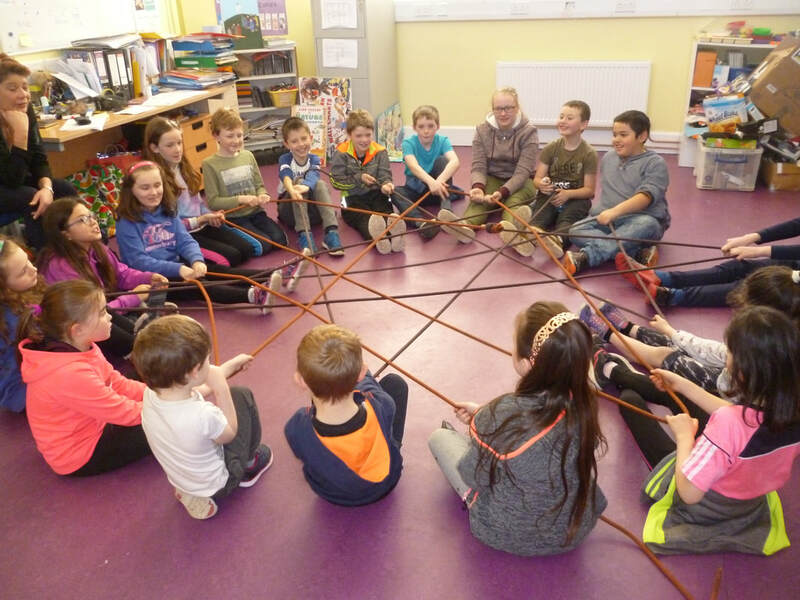 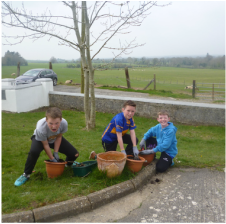 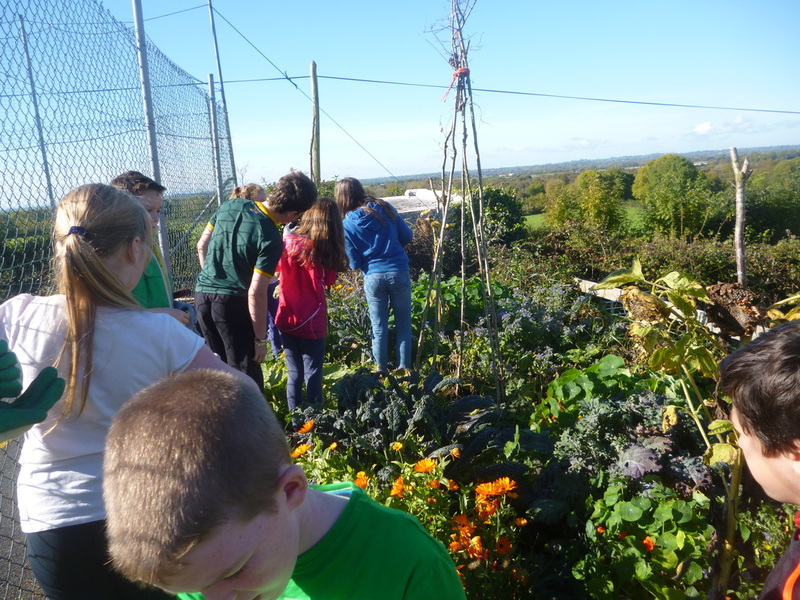 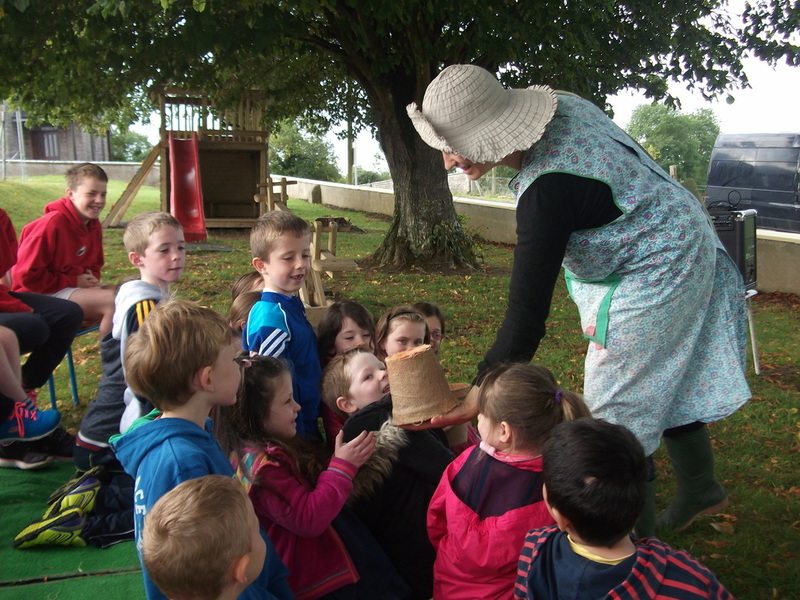 ​We were very fortunate to be awarded a grant from the 'Local Agenda 21 Environmental Partnership Fund' from Tipperary county Council, to erect an outdoor classroom. ​It's a fabulous way to be close to nature in an educational setting. Redwood N.S. 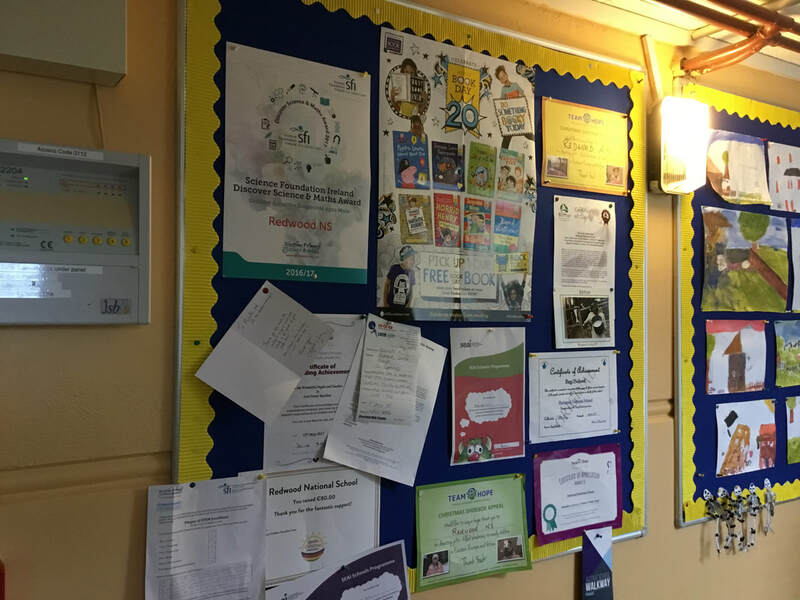 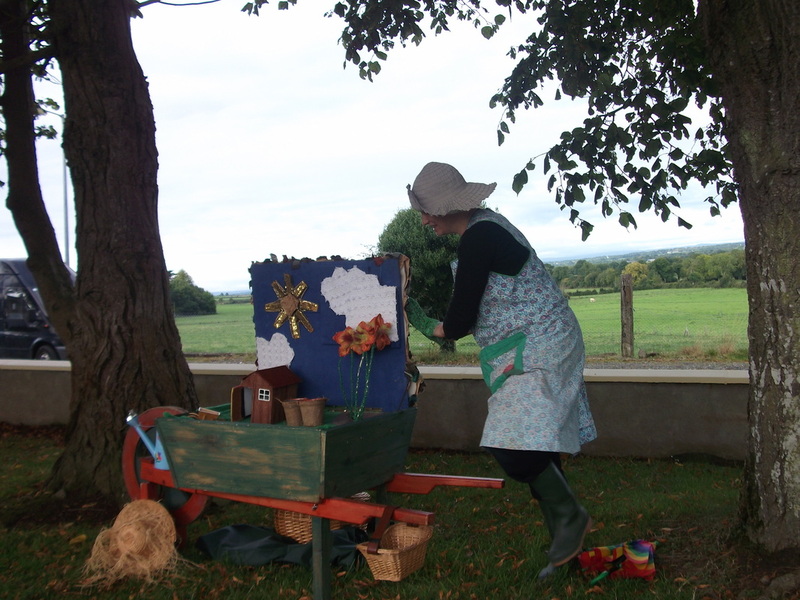 were delighted when their application to Tipperary County Council for the Artist in Primary School Scheme was successful. 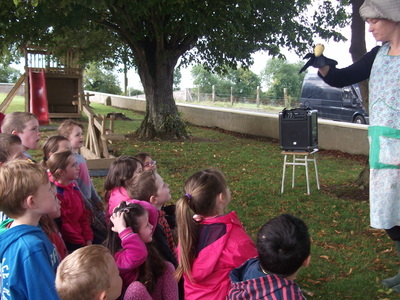 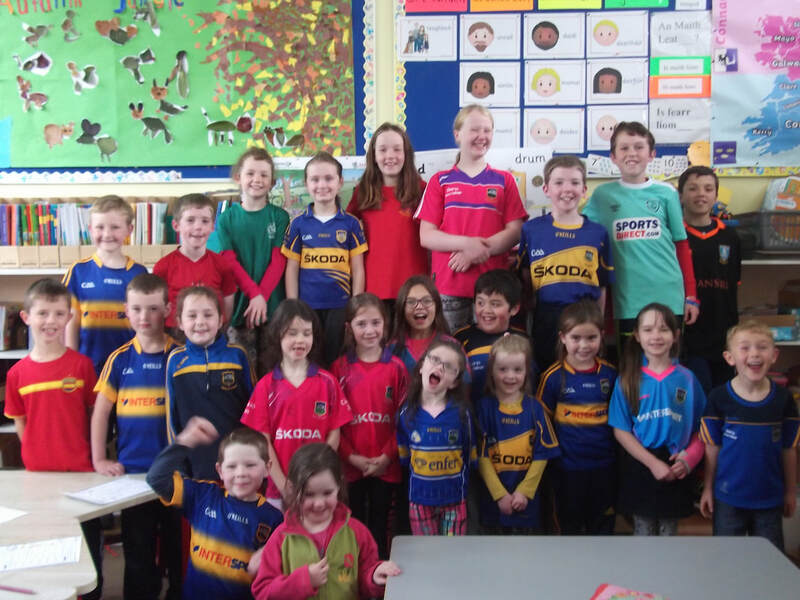 The scheme involved the school working with an artist over 50 hours funded by Tipperary Co.Co. 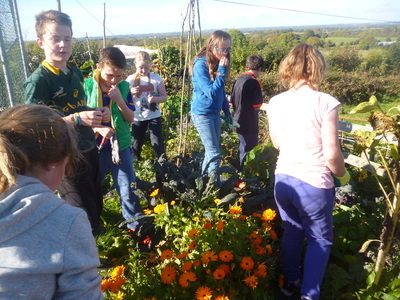 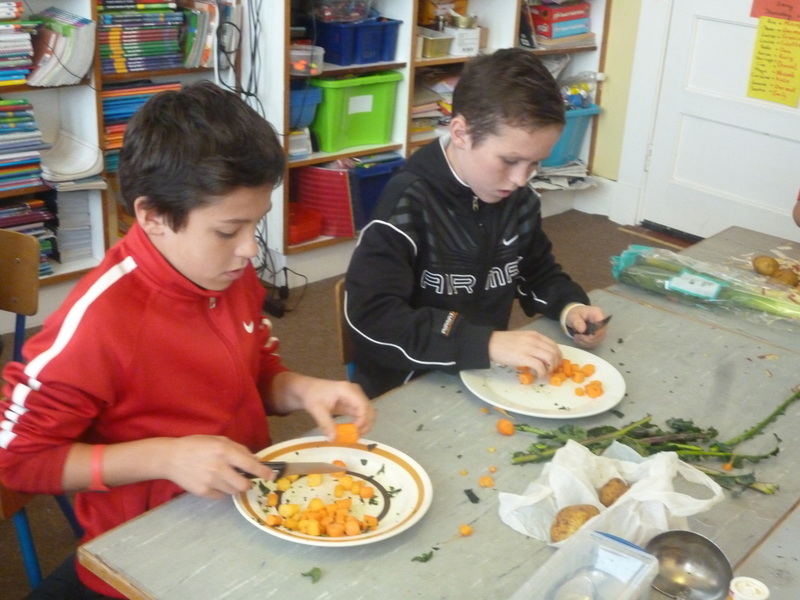 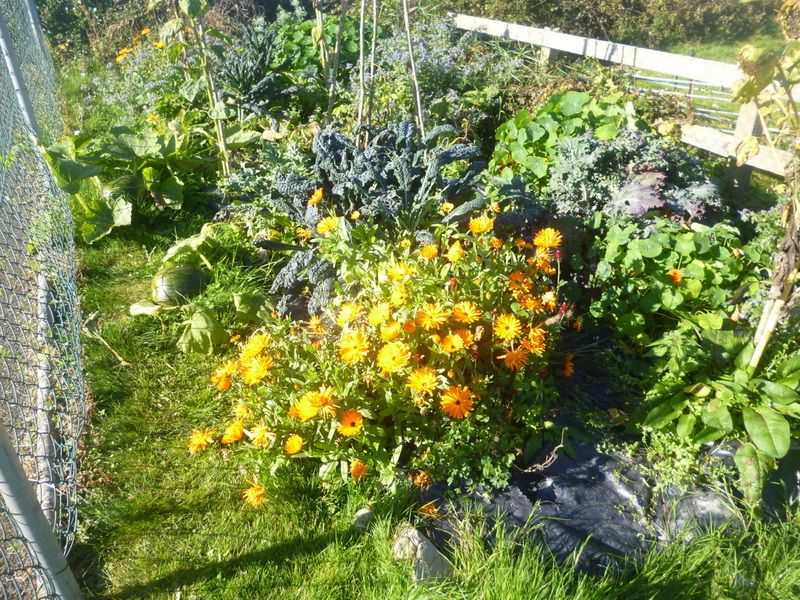 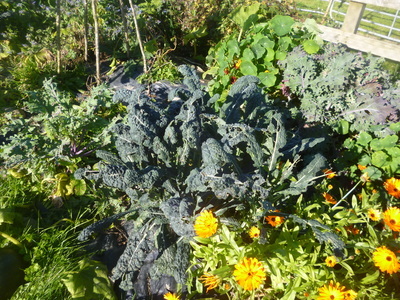 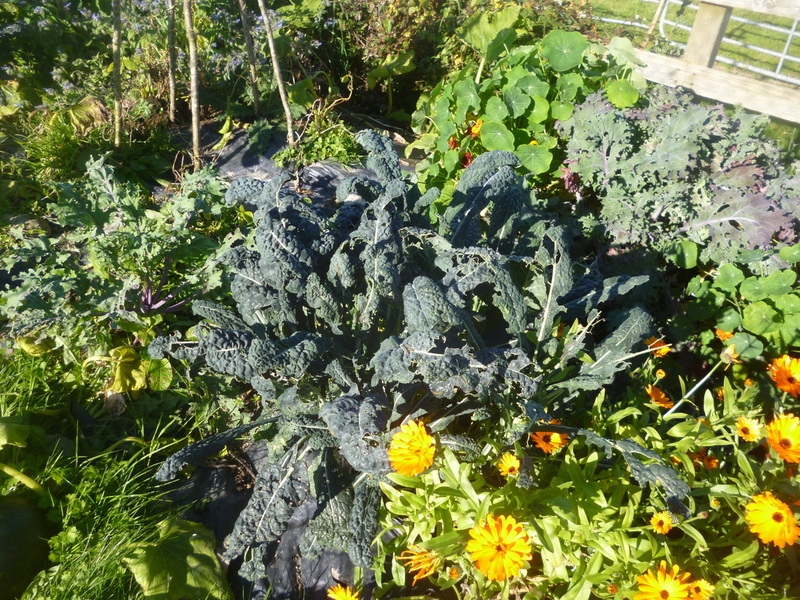 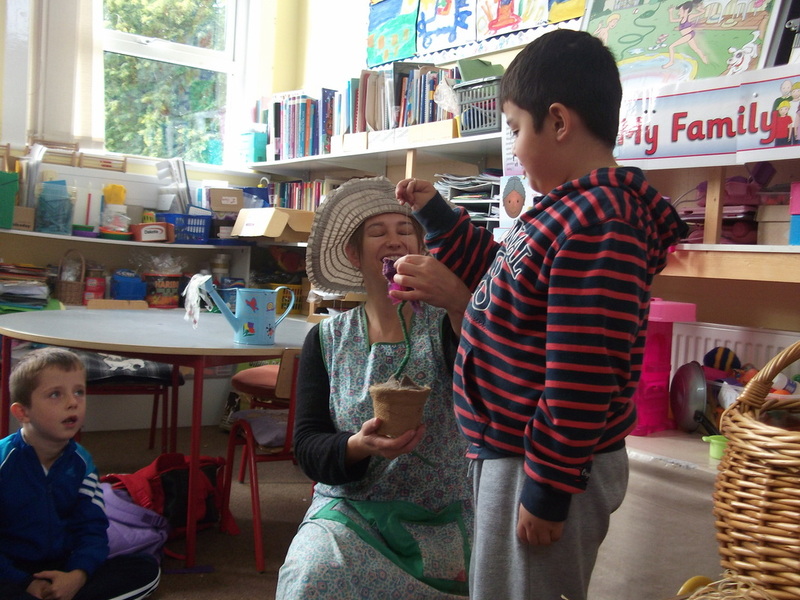 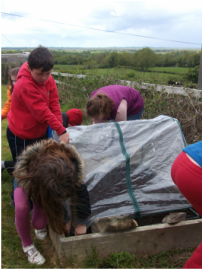 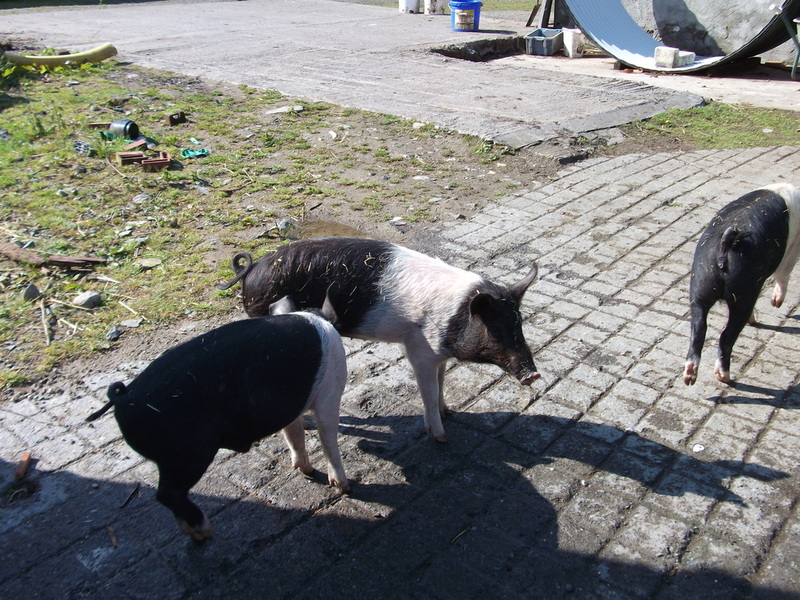 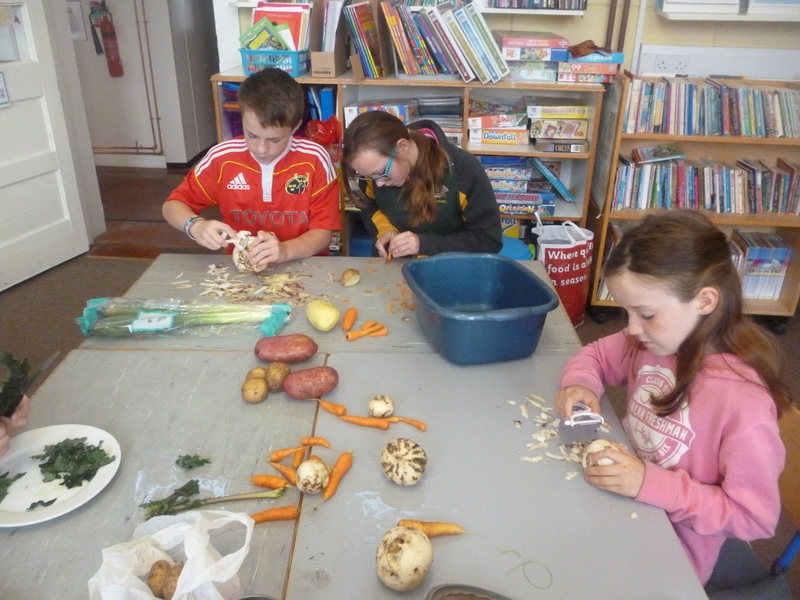 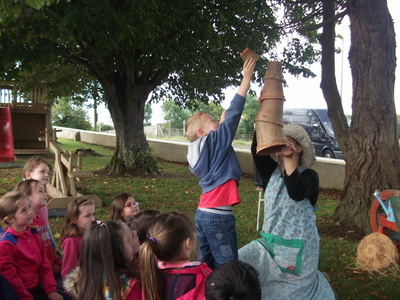 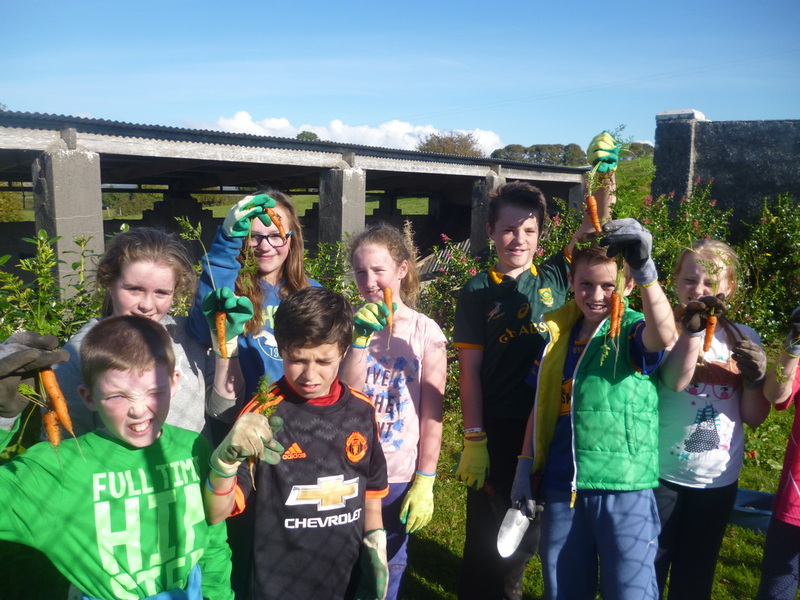 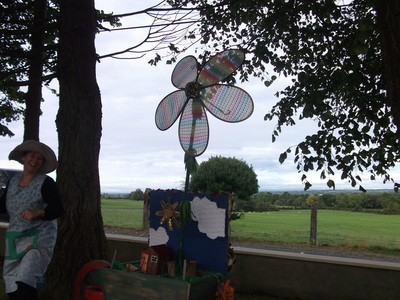 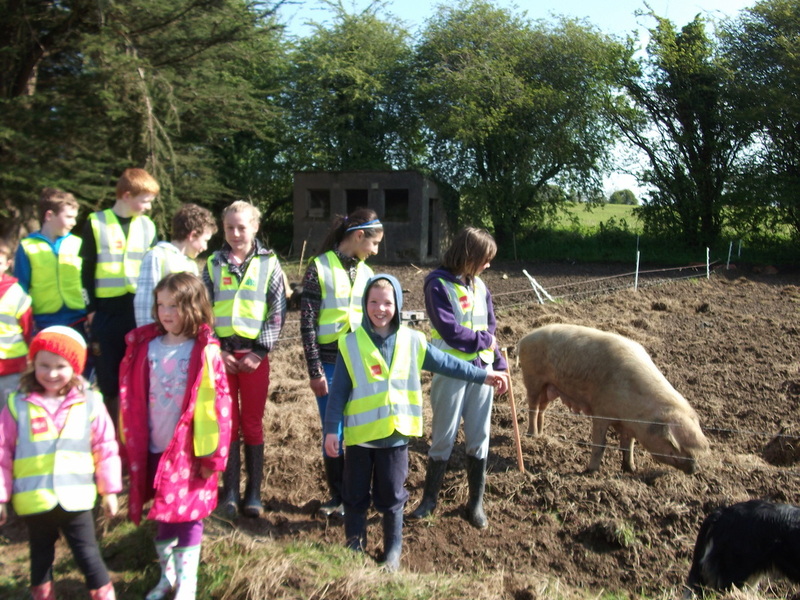 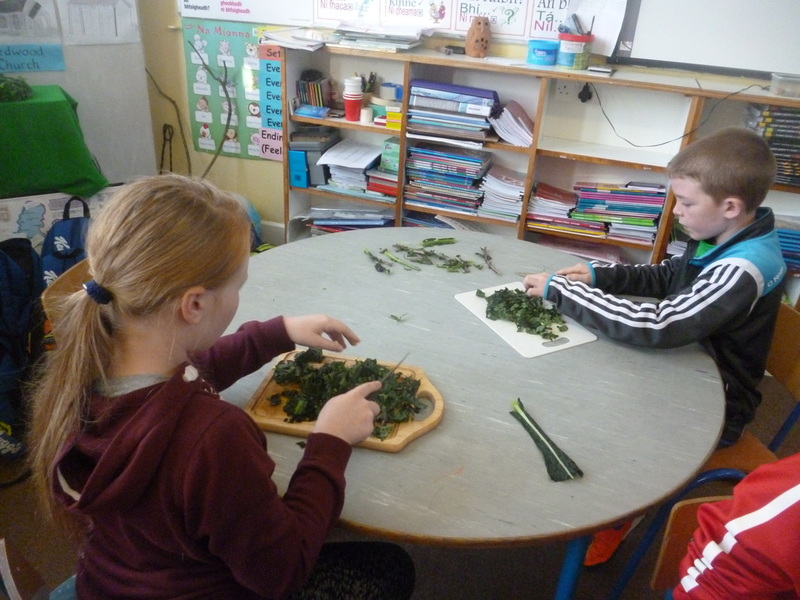 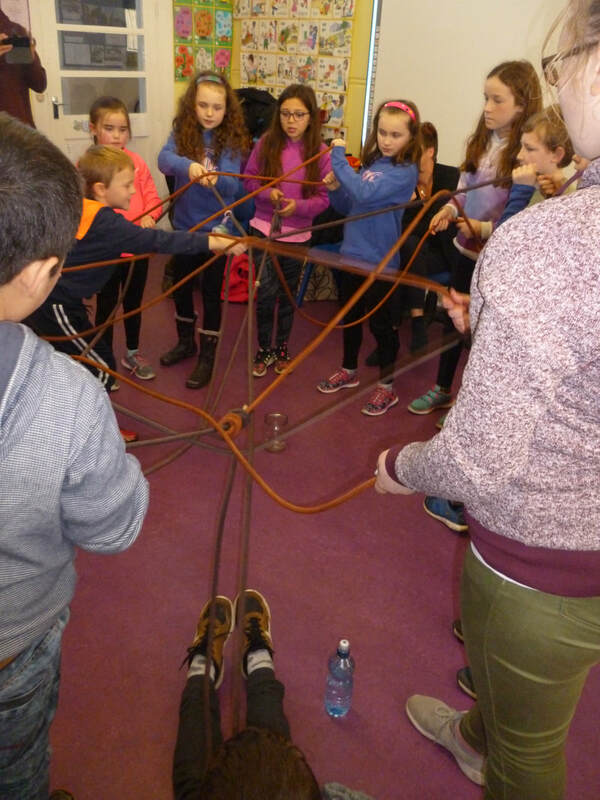 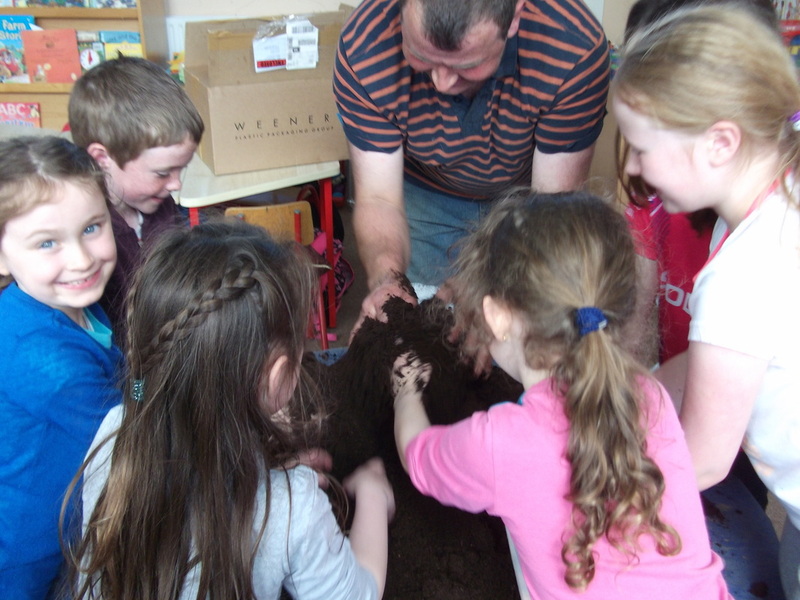 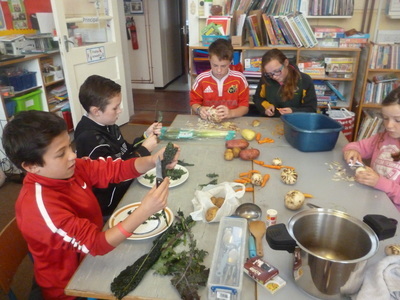 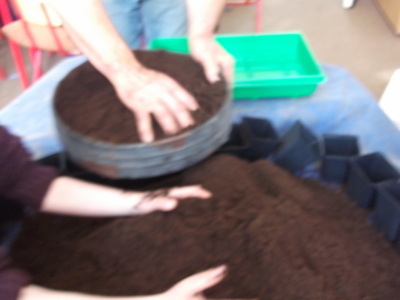 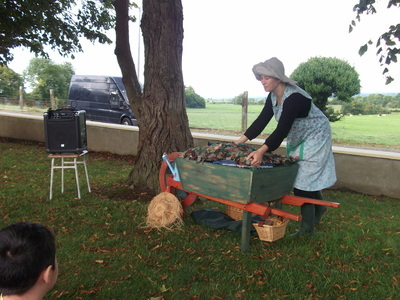 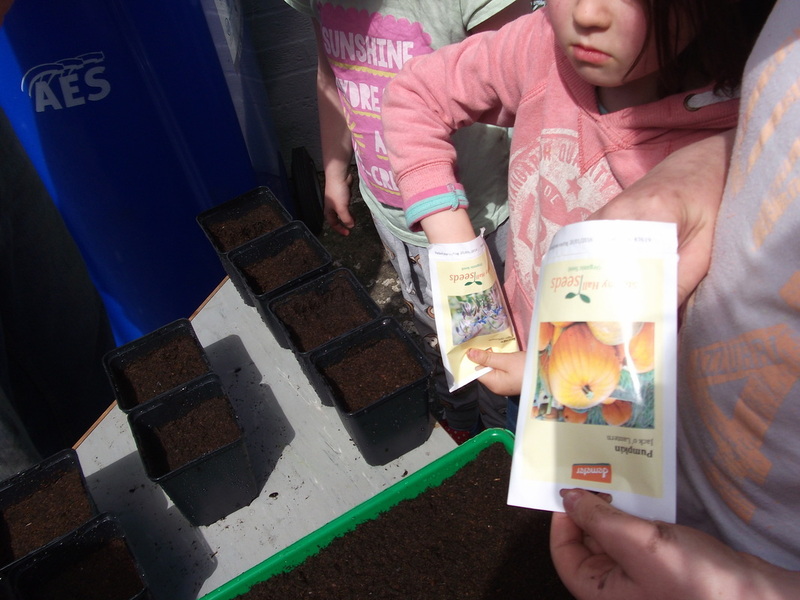 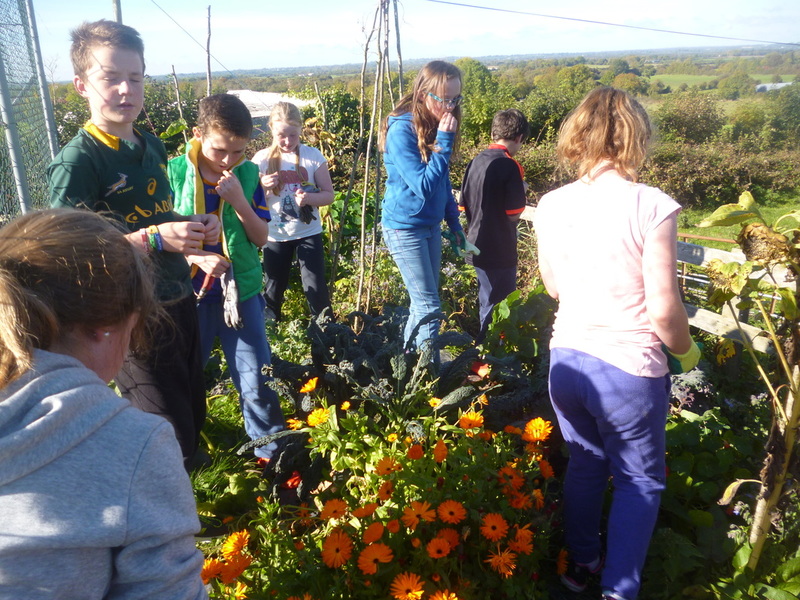 We worked with artist Joanna Williams from Cloughjordan Ecovillage. 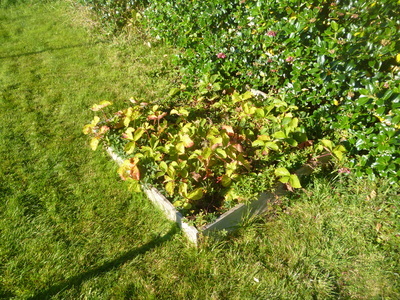 Together we drew up a plan for the project and decided to delve into the theme of 'Biodiversity' as we are currently working towards this theme for our fifth green flag. 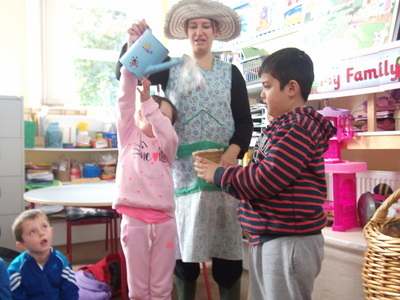 The project was very exciting and focused on three main areas (1)Biodiversity - exploring habitats through shadow play and puppetry (2) Using suitcase puppetry to examine planting and growing across the seasons (3) Examining the effects of pollution on our environment through Japanese style 'Bunraku' puppetry. 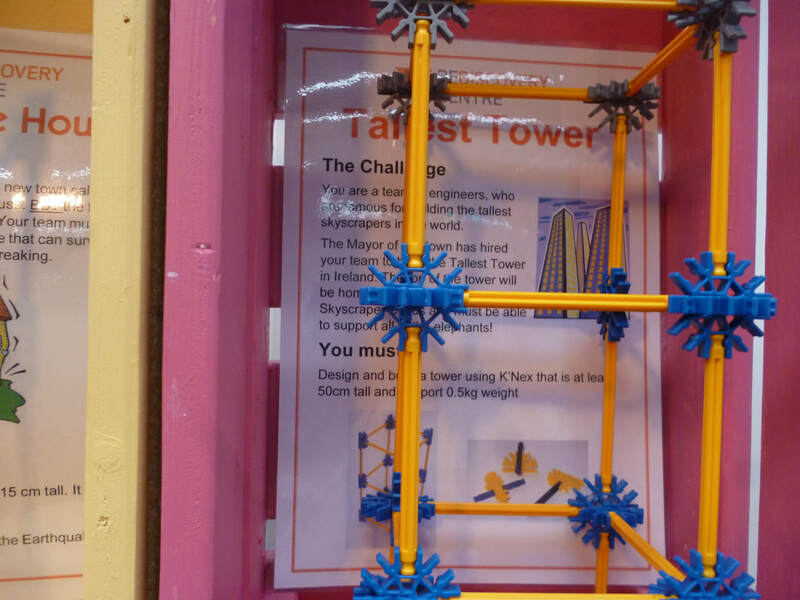 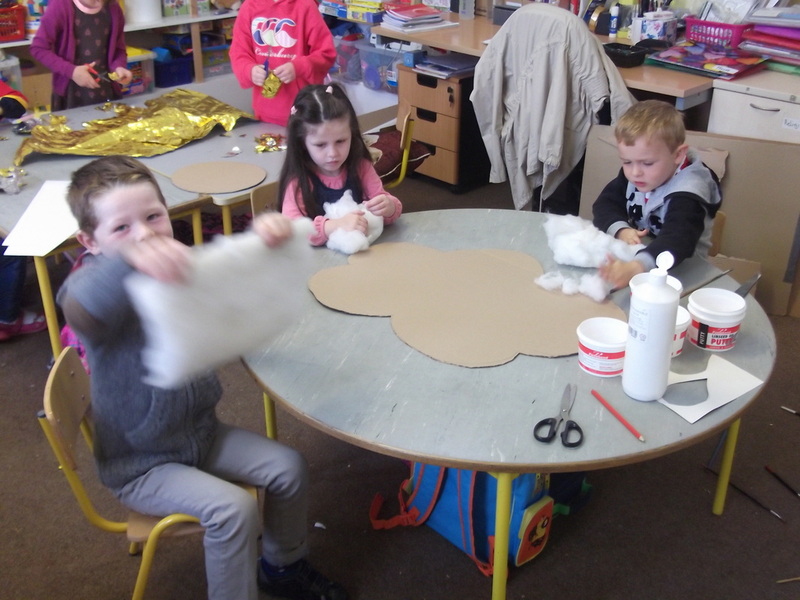 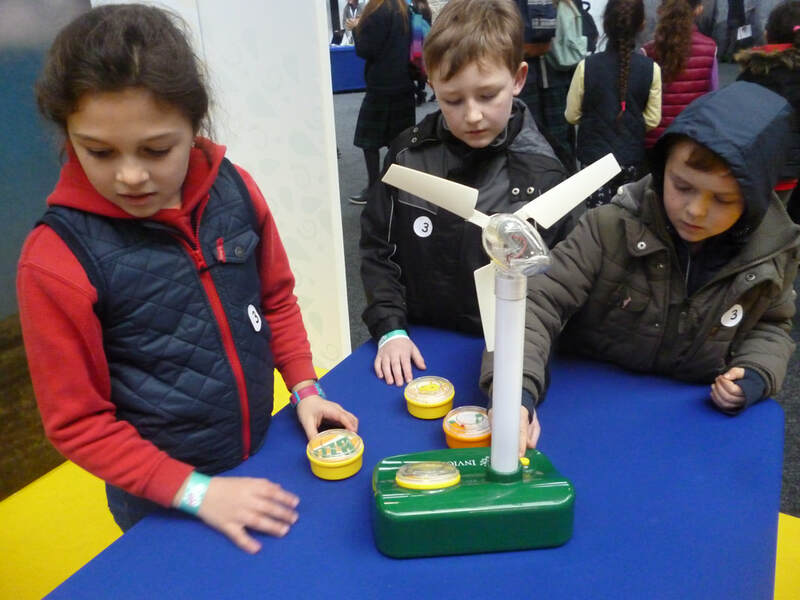 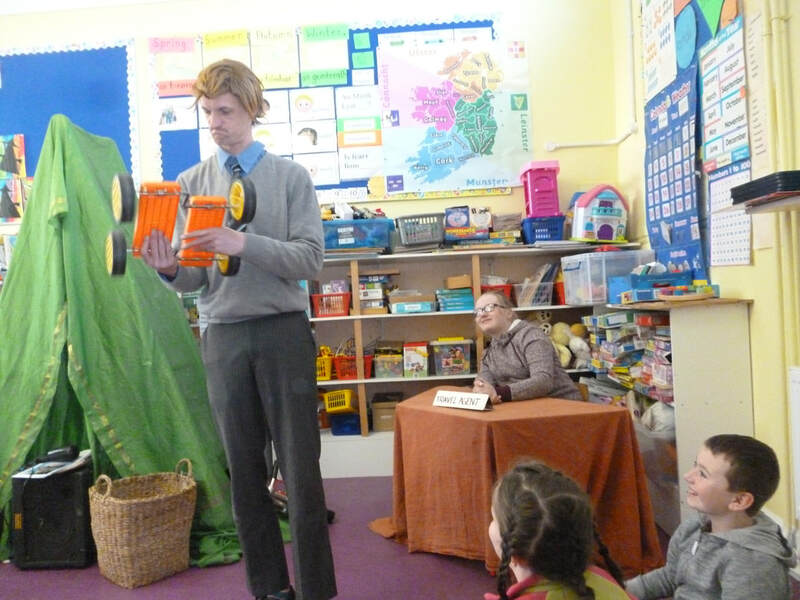 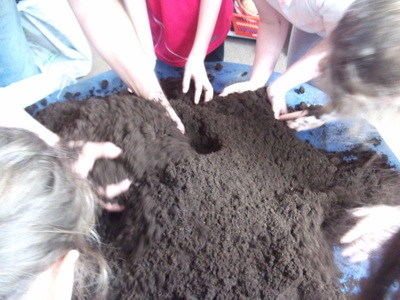 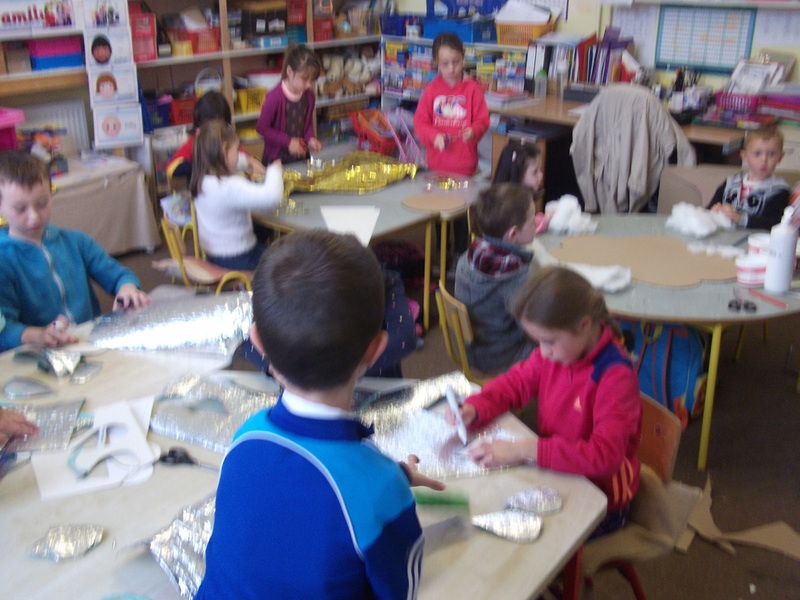 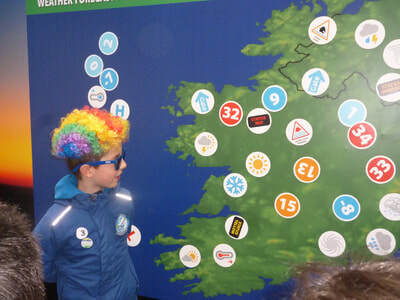 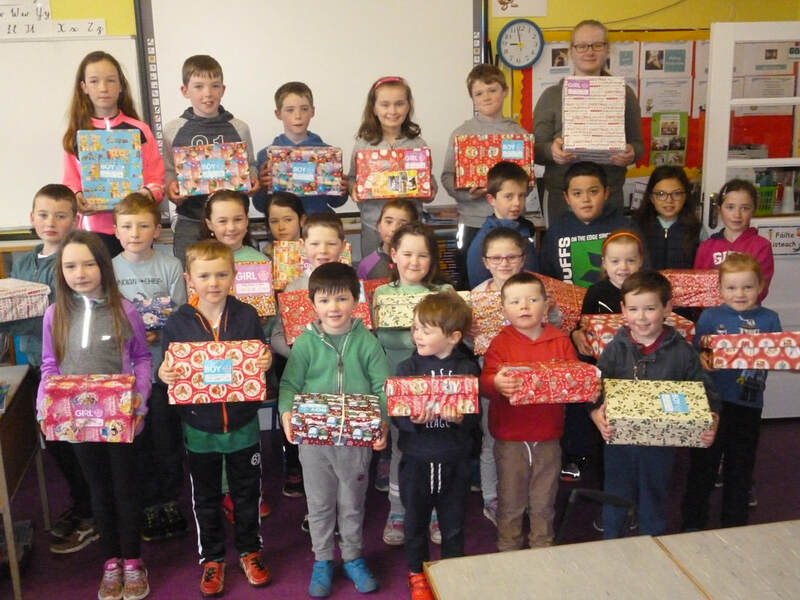 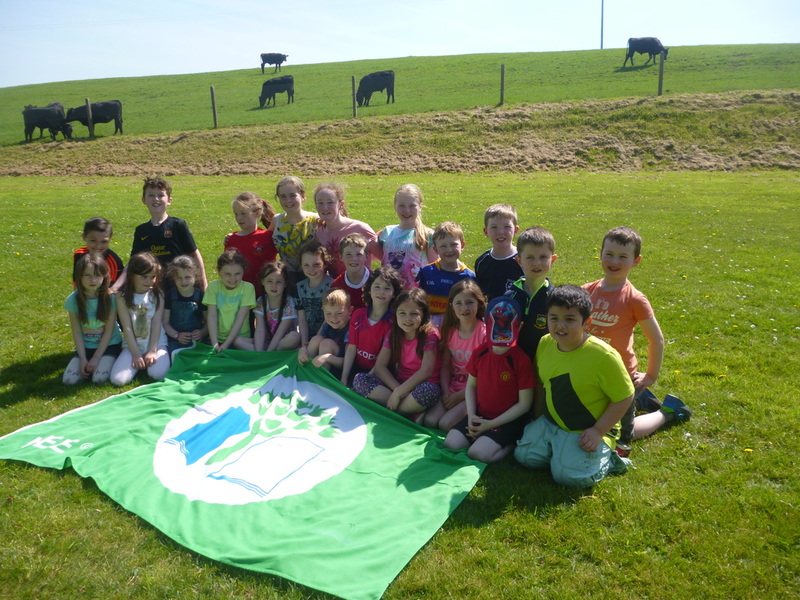 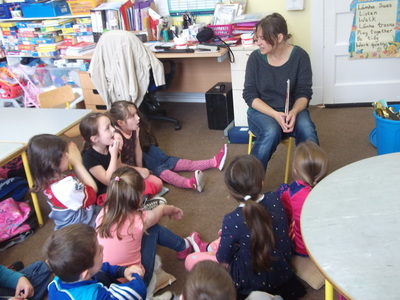 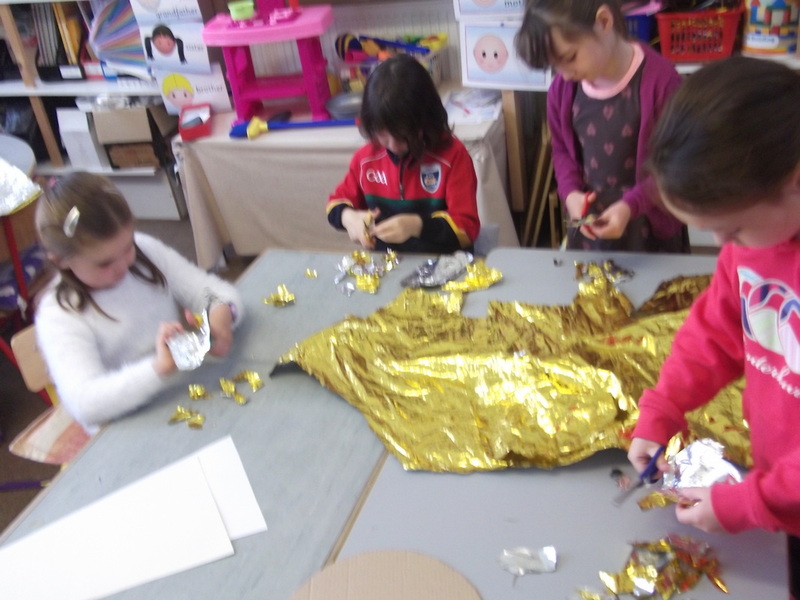 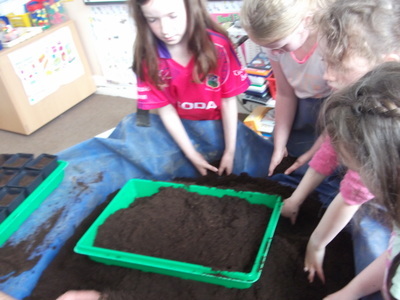 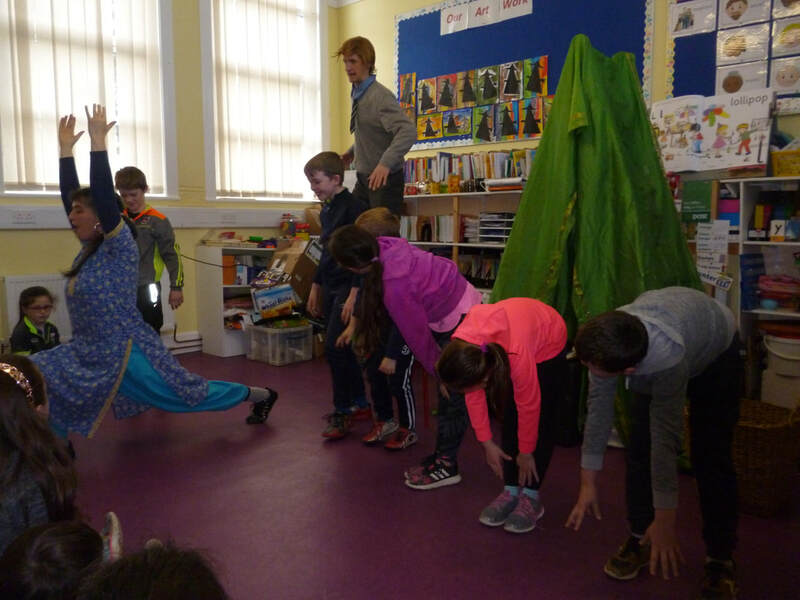 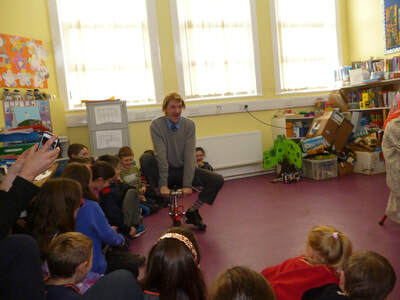 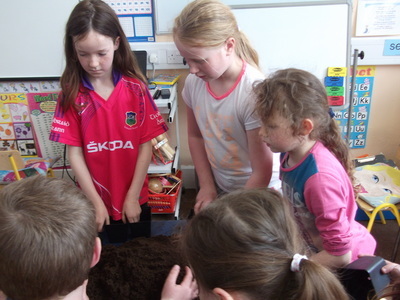 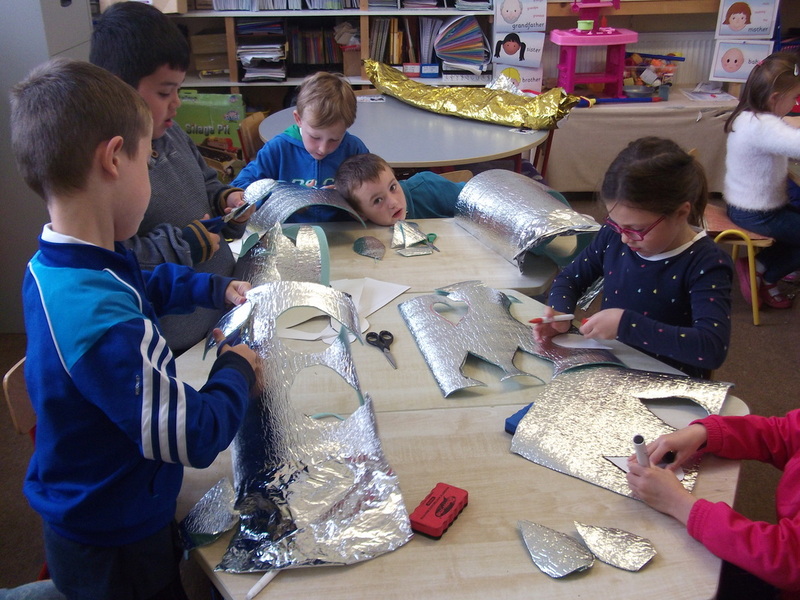 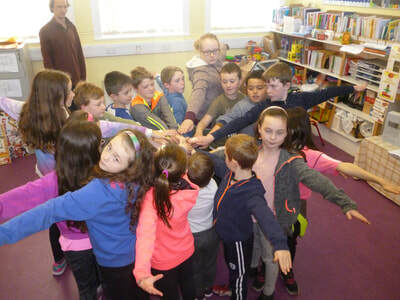 All classes from Junior infants up to 6th class were involved in the project and explored the themes in different ways. The shadow play and puppetry captured the children's imaginations as the various classes developed different shadow shows on different habitats - the pond, the garden, the sea and the forest. Joanna brought in projections and lots of materials and the children had great fun developing their shadow show to present to their friends in the other classes. 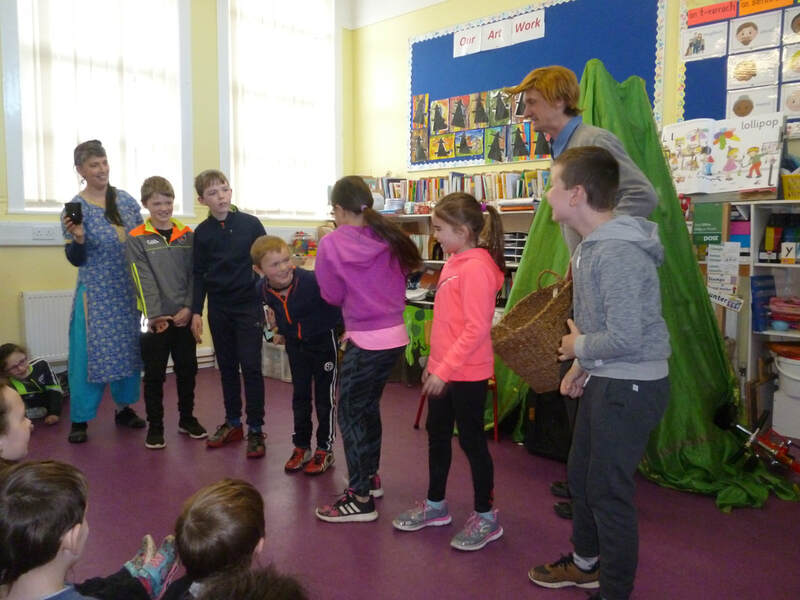 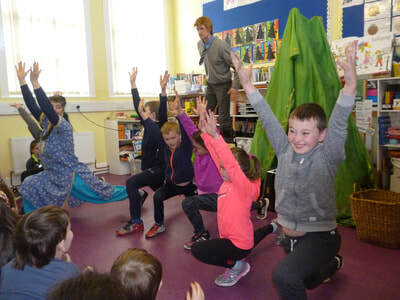 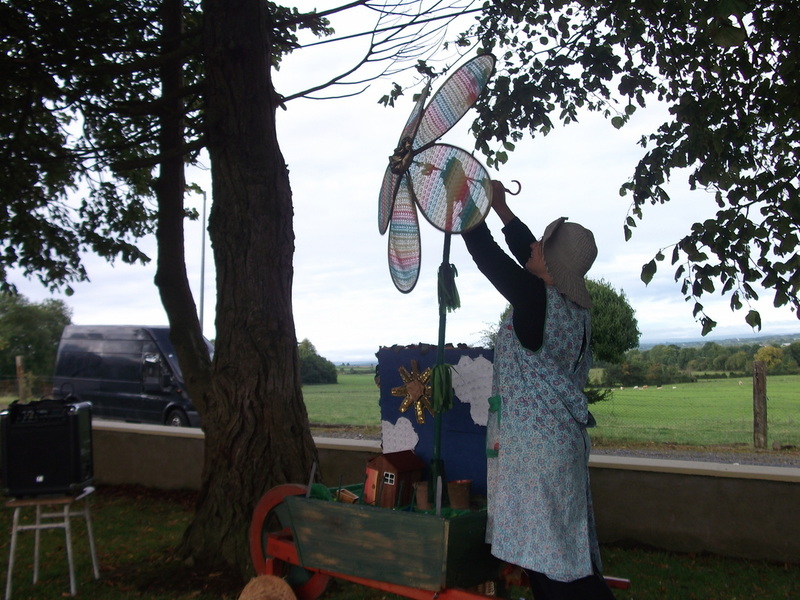 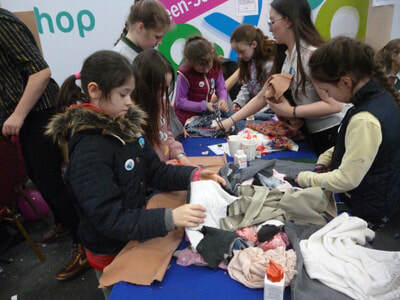 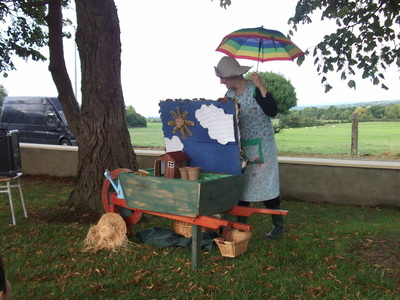 ​The suitcase puppetry was a new concept to the children and Joanna introduced it first by performing her own show ' The Sunflower Seed' which went down a treat! 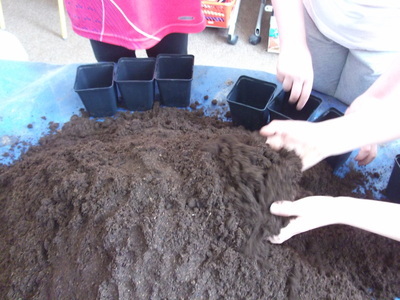 The junior room then worked on their project of planting and growing, while the senior room worked on a project based on the seasons and change. 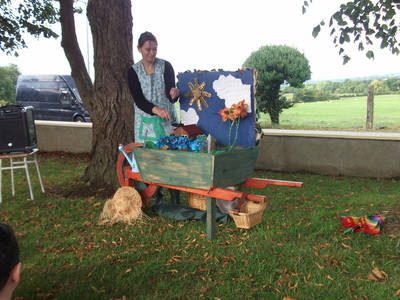 The suitcase puppetry was quite challenging as it involved a lot of design and construction and under Joanna's guidance, the children created some very technical and inspiring pieces. The final part of the project examined the use of drama to explore environmental issues such as pollution. 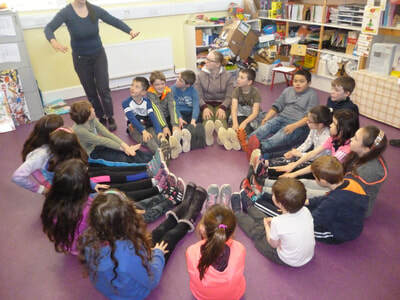 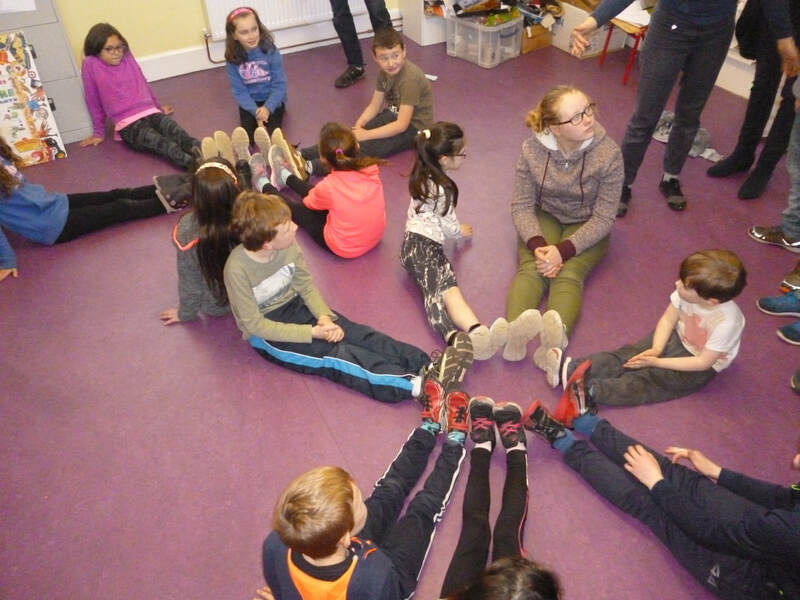 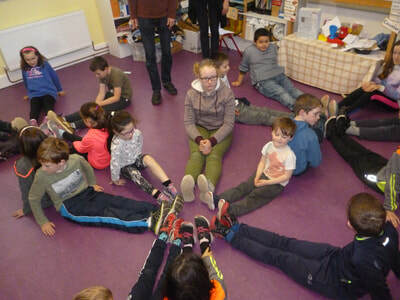 The children had a lot of fun with different drama games and techniques and even some circus skills. They then went on to create some large scale puppets from newspapers in the Japanese style of Bunraku and which also reminded the children of 'Punch & Judy' style puppetry. The whole project was very exciting and interesting. 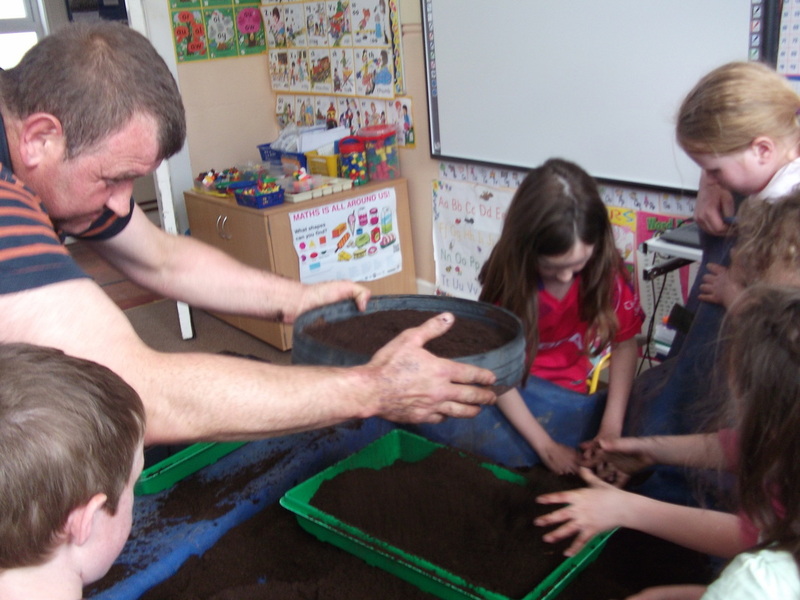 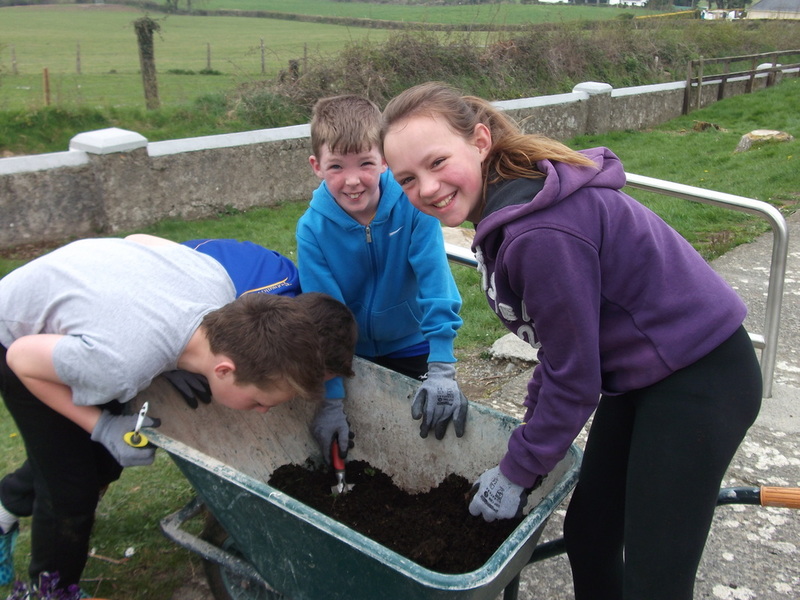 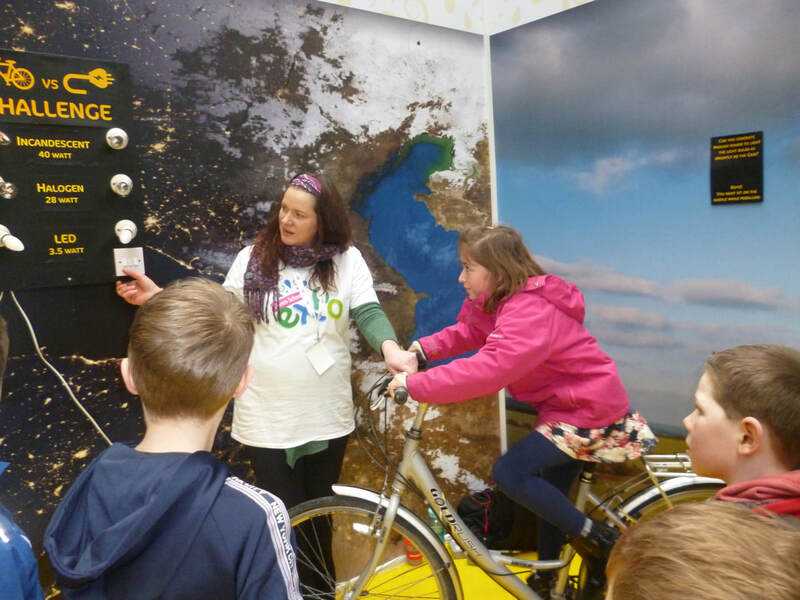 It was something very new for both pupils and teachers and a very rewarding experience. 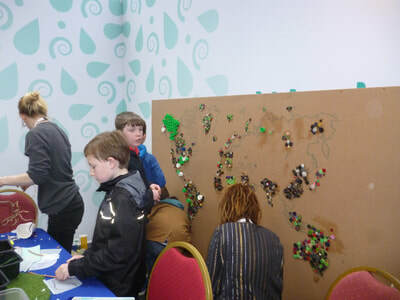 It was also very rewarding to explore the theme of 'Biodiversity' through art. 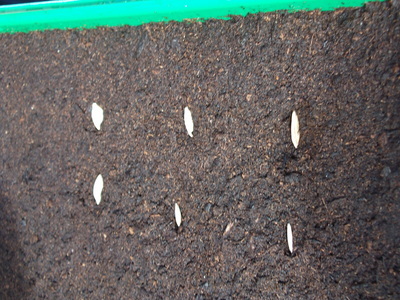 It is the variation of all life forms from the tiniest of bugs, to the plants that they feed on, to the biggest whales in the sea. 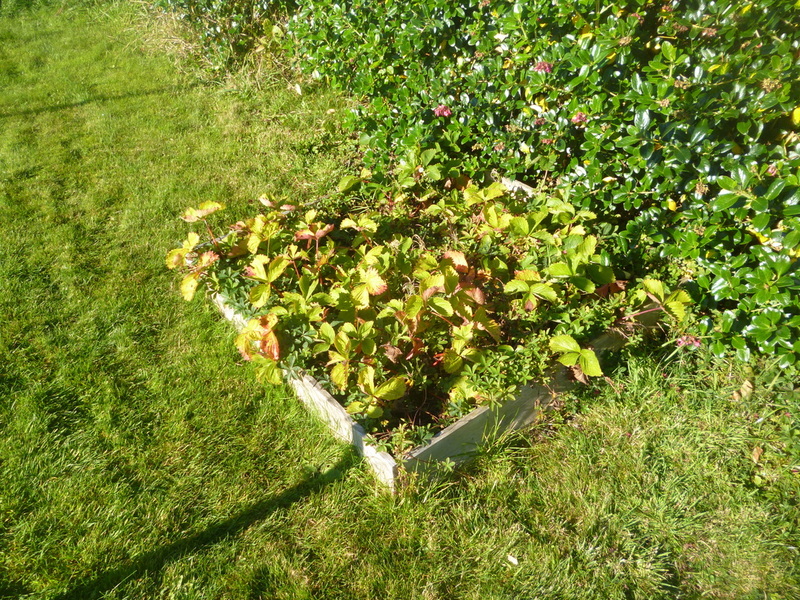 Biodiversity keeps us alive, therefore, it is vital that we conserve it. 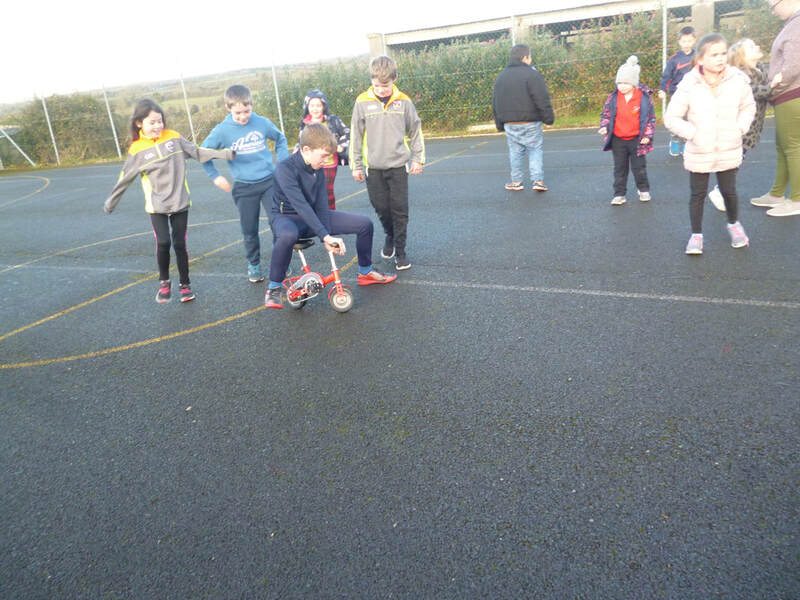 Who says school is no fun??!! 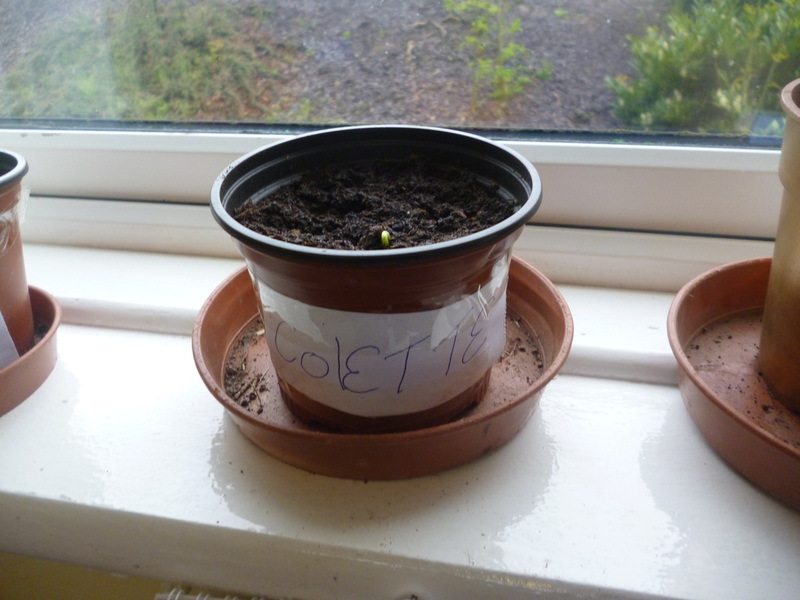 The start of our sunflower! 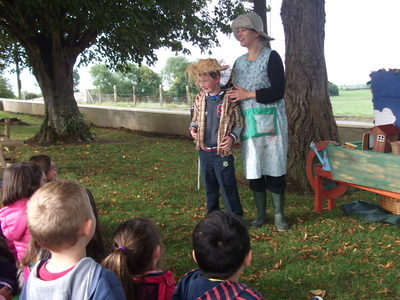 The children and teachers visited the Portumna Forest Park for a nature walk. 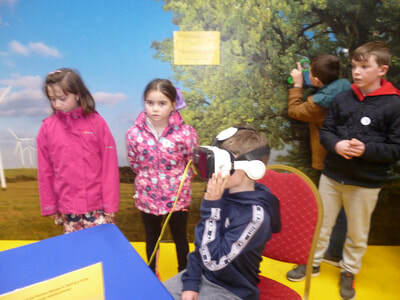 We had plenty to see and study and even managed to record a sighting of some deer on the school i-pads!! We made our habitat maps last year and will make new ones again in Spring 2016 so we can see what sort of a difference WE have made to our own surrounding areas!! !